When Anna Kolis immigrated to Chicago from Lodz, Poland, in 1983, she experienced first-hand the challenges of learning a new culture while still wanting to maintain a connection with her native country. When she began a position in marketing with Generations at Regency ten years ago, she met several residents with ties to Poland, as either natives or descendants of Polish immigrants. While they were all living full lives at Regency, something was missing…a connection to their Polish culture. Anna was inspired to create a Polish Resident Program, offering opportunities for residents to engage and socialize in their native language and celebrate their culture. “They don’t speak Polish for many years,” and then they come here and it’s like they can be Polish again,” Anna explained. Activities include cooking Polish food and listening to music from different regions of the country; watching films from Polish directors like Andrzej Wajda and celebrating Polish holidays. Through her connections in the Chicago-area Polish community, Anna was able to build a Polish library and establish connections to televisions broadcasts from Warsaw and other major cities. Everything the Polish Program does is open to family and friends, as well as residents who may not be Polish but are interested in learning more about the culture. During the winter holidays, longtime friend of the program the Polonia Folk Song and Dance Ensemble of Chicago performs for residents and on Christmas Eve, residents enjoy a massive feast of Polish food. Regency also hosts celebrations for Constitution Day (May 3) and Independence Day (Nov. 11). The program also offers residents a spiritual component. A priest from Holy Trinity Church conducts a Rosary service every Friday and celebrates mass on Sundays. 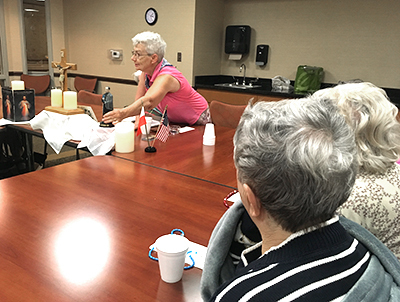 Anna smiled when sharing that physicians know not to visit Regency on Fridays because so many residents take part in reciting the Rosary together. Tadeusz Cebula, another program regular, appreciates being able to participate in the Rosary service and attend Mass each week, and added how fun it is to get together for movies and music. The Polish community has embraced the program, and the Polish American Association is a partner. 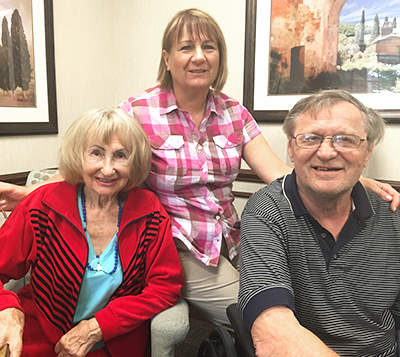 For Anna, the Polish Program was born out of her determination to make sure that every Generations at Regency resident who may have left a piece of their heart in Poland can feel at home here.